We hear about how globalized our society is and continues to become all the time. But how does that extend to your (future) classroom? Here college professor and education advocate Dr. Haoua M. Hamza shares her introduction to leading the kind of inclusive classroom the 21st-century demands. I am a college professor, and each semester, during the very first session of a course, I start with a set of four or five icebreaker questions that allow us to get to know one another. The first question I ask is, “What is your reason for being in the field of education?” The most frequent answer is, “I love children.” Other answers include an “inspiring” grade school teacher (or a “mean” one! ), which provide some insight into candidates’ dispositions and their desire to make a difference in children’s lives as well as their communities. The second question I ask is, “What is your educational philosophy in a pluralistic society?” Answers to this question include “I believe all children can learn,” “We never stop learning,” and “I want to motivate children.” The belief that each child has the innate capacity to learn is a powerful philosophy that is inclusive of all children regardless of origin, need, and circumstance. This is a meaningful opening activity as I further inquire into how they would implement these beliefs and dispositions as teachers in a pluralistic society. Throughout the semester, I typically continue to encourage teacher candidates to reflect on the interface of their philosophy, their disposition, and their pedagogical approaches. It is very important to understand the interlocking relationships of these three dimensions and grasp how one’s pedagogy or classroom practice could reflect one’s philosophy and dispositions. This suggests that a comprehensive and integrated approach to managing a global classroom is necessary. Various elements of pedagogy—including content instruction, teaching and assessment methods, learning activities, behavior management, and motivation techniques—are interconnected in addressing each learner’s social, emotional, academic, and behavioral needs. As a teacher, maintaining such a perspective and practice will allow you to both grasp how unique each learner is and to holistically implement approaches to teaching that proactively keep students on task and prevent unnecessary reliance on reactive techniques. So, how are teacher philosophy and dispositions related to the notion of inclusion? Inclusive education could suggest a couple of perspectives: one that pertains to the practice of including learners with exceptionalities in regular classrooms and a broader perspective that suggests a pedagogy responsive to all children’s needs regardless of cultural differences. Today I’m focusing on the second definition (though it encompasses the first). It is based on understanding a broad definition of human diversity in education (see Cushner, McClelland, and Safford 2015 edition of Human Diversity in Education). I also see this approach as a global and intercultural pedagogy. Each of us is like a pebble, with its own shape, size, and color. Unlike bricks made from the same mold, each pebble is unique. So is every student in our classrooms—a unique individual whose growth we contribute to as teachers. Working in the field of education urges us to develop a comprehensive, global, and intercultural pedagogy that addresses the range of human diversity and complexity represented in every classroom. Teachers do very creative things on a daily basis, often under limiting and challenging circumstances such as a lack of funding, appropriate resources, time, or infrastructure. 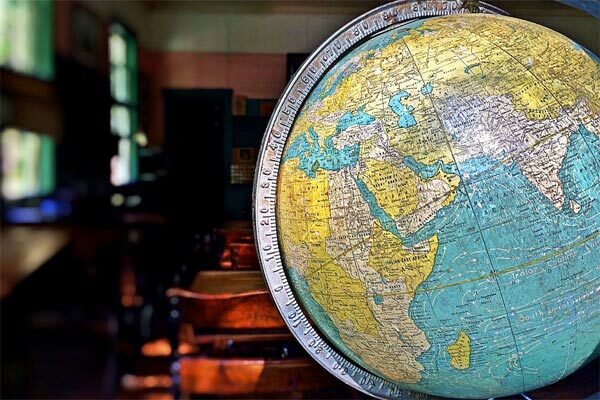 In an era of globalization—global travel, immigration, economy, communication and technology, international and comparative education, perspectives, and so on—the notion of managing a global and inclusive classroom is not far-fetched. Teachers are one plane flight, a boat ride, or border crossing away from expanding their vista and transforming their classrooms into a global learning environment where children from all walks of life are represented. Because each of these learners matters, every classroom deserves to be inclusive. The increasing and compelling reality of human diversity in education within the United States and in other pluralistic societies is a fact educators and school personnel around the world will experience and feel the urge to address appropriately. This is the rationale for implementing a global and intercultural pedagogy where every child knows he or she is included in the learning experience, whether one teaches in Colchester, England; Buffalo, New York; Sapporo, Japan; Ryad, Saudi Arabia; Niamey, Niger; or Sydney, Australia. In this 21st century of new technologies and transnational diversity, teachers are at a crossroads like never before. They will always play a crucial role in transforming the gaps and walls into bridges of academic achievement. Knowledge of cultural self and a profound understanding of human and cultural diversity constitute critical elements of intercultural competence. It is important to develop an inclusive practice by critically deconstructing one’s approach to teaching and transforming it. Haoua M. Hamza, M.A., M.Ed., Ph.D.
Dr. Haoua M. Hamza is an associate professor in the Department of Middle and Adolescent Education in the College of Education at Niagara University in New York. She received her Ph.D. and M.Ed. degrees from Kent State University at Kent, Ohio, and a M.A. in English from the National University of Niamey, Niger. Her current research interests and publications include Global and Intercultural Pedagogy, Girls’ Schooling and Gender Gap in Educational Outcomes, Decolonizing Research Methods in Indigenous Contexts, Differentiated Instruction and Constructivism, and Multilingualism in Education. Her interest in Gender and Rural Development in Sub-Saharan Africa has partly informed her service activities. This passion led her to create the NGO The Global Network for Niger (GNN), whose mission is to empower women and children of Niger to build a sustainable future. In 2013, the United Nations Fund for Population Office in Niger recognized Dr. Hamza as one of the ”100 Women of Niger.” Dr. Hamza facilitates a workshop on managing global classrooms locally and internationally, and teaches both undergraduate- and graduate-levels courses. She is a member of various college and university committees as well as several local, national, and international boards and organizations.